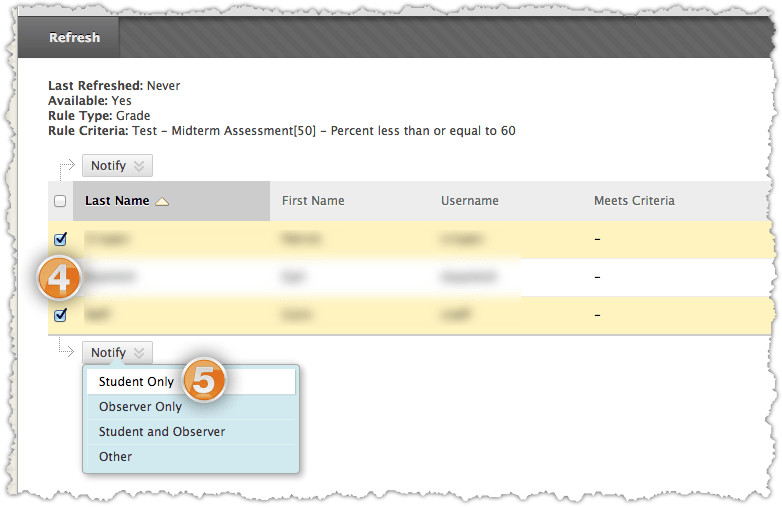 Once your rule(s) for the Early Warning System are created you can view the status of the rule(s) to see which students are meeting the criteria — this would imply that if the students are meeting the criteria for a Grade Rule of less than or equal to 60, then they received below a 60% on the assignment — and notify them of such. 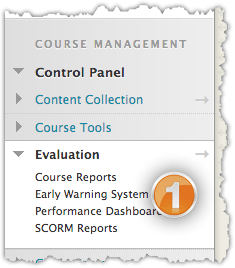 Select the Early Warning System from the Evaluation Tab of the Control Panel. Mouse over the rule you wish to review the status of and click the downward facing arrow that appears. 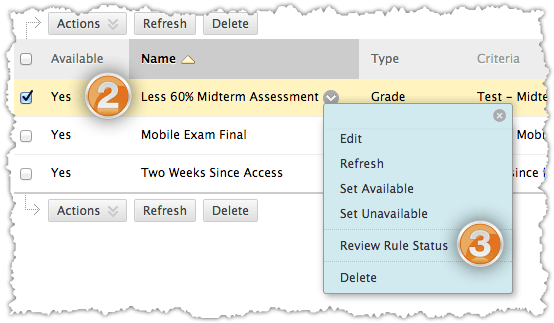 Select Review Rule Status from the drop down menu. 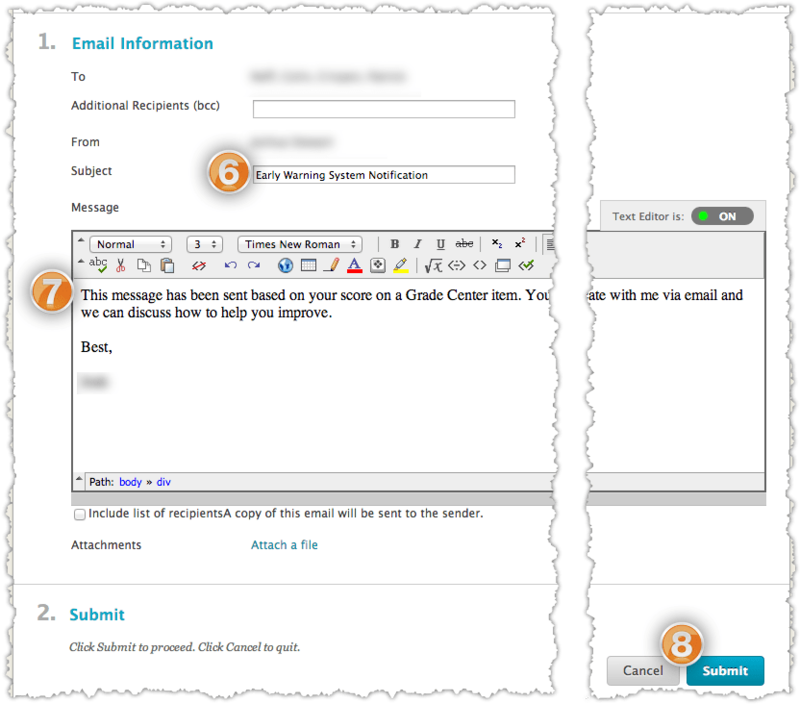 Check the student(s) you wish to notify and press the Notify button below the checkboxes. Select Student Only from the list that appears. Enter a Subject for your Email. One comes present. Enter Body text for your email.